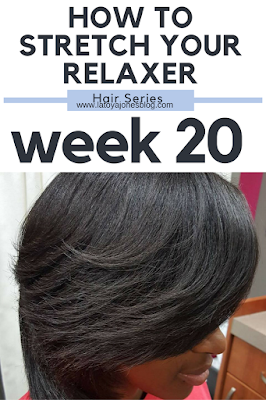 Hello week 20!!🙌. Today marks the beginning of a very special week! We are at the beginning of month number FIVE!! You could also say that we are at the beginning of the end! At this point we are on the countDOWN. Only four more weeks to go! I don't think anyone is happier than me at this point. One, although I can manage my hair just fine at this point, I do NOT enjoy doing my own hair at all. And that is whether I'm at week 1 or week 21. 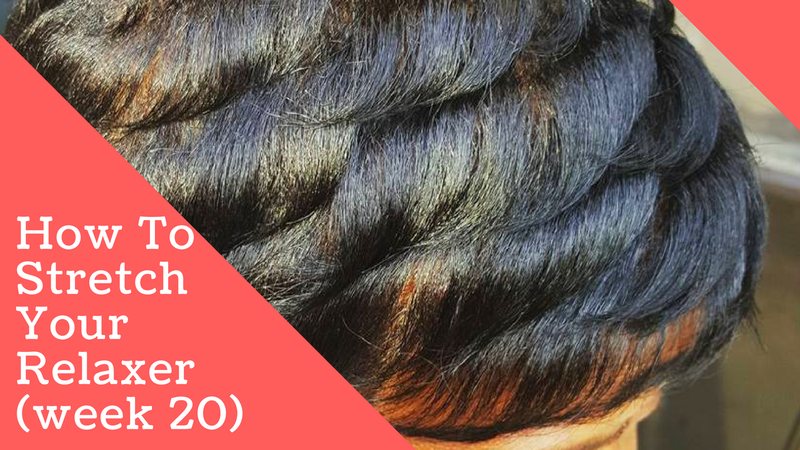 I do however, enjoy sharing my experiences with you and (hopefully) helping you and encouraging you to want healthier hair for yourself. 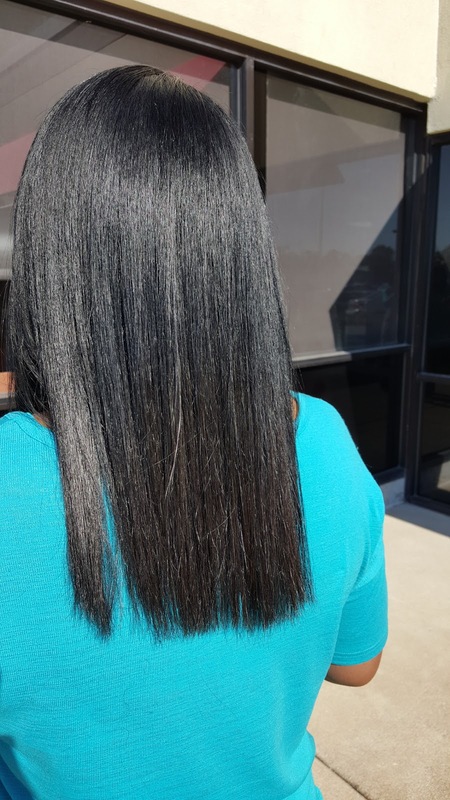 All of the featured pictures in the past few weeks have been pictures of my clients who have relaxed hair. 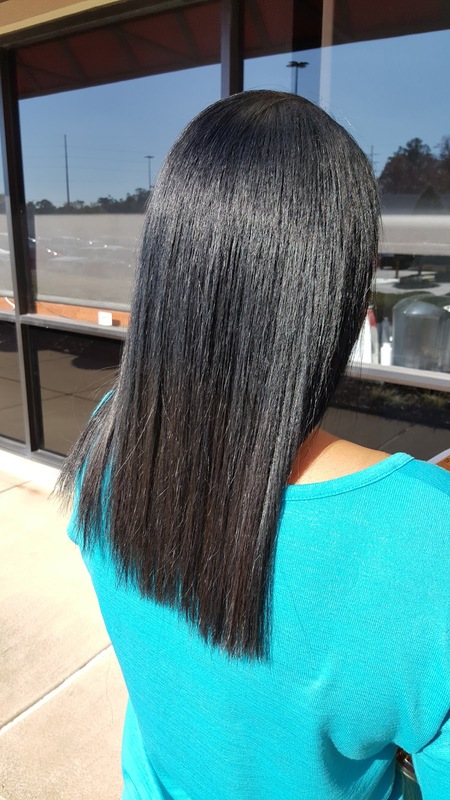 My clients are able to have healthy, long, relaxed hair due to me encouraging them to stretch their relaxers out. 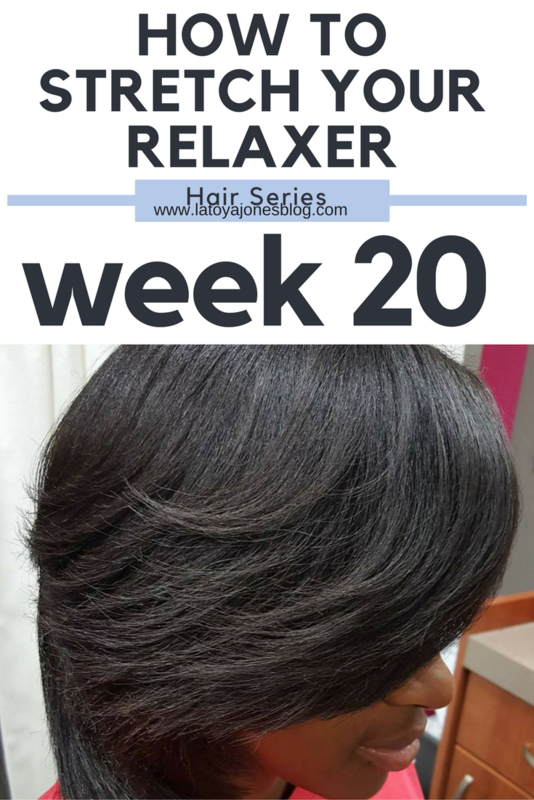 I do not do any client's relaxer at six weeks, no exceptions. Instead, I teach them about their hair and how to properly have healthy relaxed hair without having to consider the option of going natural. I'm here to put an end to the fact that you have to have natural hair to have healthy hair. That is a MYTH!! The videos, however, feature me and show you exactly what I did to my hair this week. 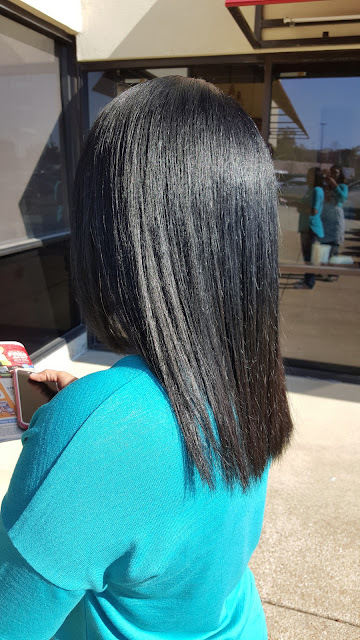 This week, I shampooed twice with the Extreme Clean Shampoo then deep conditioned with the Replenishing Conditioner. Then I put a generous portion of Leave In Conditioner on before detangling my hair. After letting my hair air dry for several minutes, I then used the blow dryer (no comb attachment) to get the rest of my hair dry. Last came the flat iron.